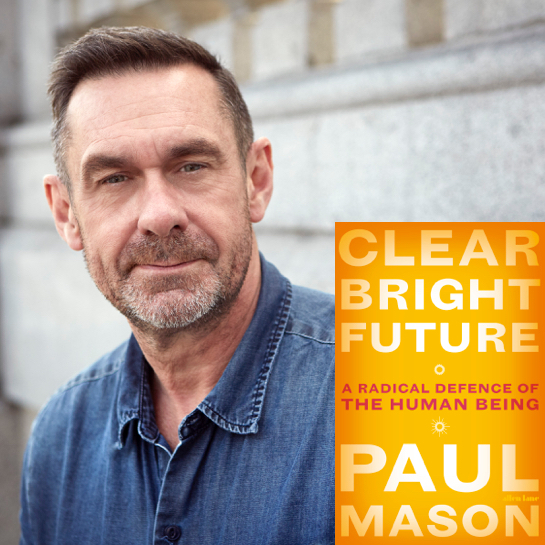 Former Channel 4 Economics Editor Paul Mason’s new book, Clear Bright Future, calls for a radical, impassioned defence of the human being, our universal rights and freedoms and our power to change the world around us. He draws from his on-the-ground reporting from mass protests in Istanbul to riots in Washington, as well as his own childhood in an English mining community, to show how the notion of humanity has become eroded as never before. He argues that we are still capable - through language, innovation and co-operation - of shaping our future.